The Transat (sailing video above)-- One man, one boat, the Ocean: The Transat is the Mother of all single-handed ocean races; the original contest that pits one sailor and one boat against the sea. This race launched professional offshore sailing as we now know it. Upwind, into the ice & fog - The Transat is still considered as one of the hardest of all ocean races. THE TRANSAT RETURNS FOR 2016 AND HEADS TO NEW YORK | News | The Transat: "Classes invited to take part in 2016 edition include Class 40 monohulls (40ft) and Multi 50 multihulls (50ft). Alongside them will be the IMOCA 60 Class (60ft), the world’s leading solo class, many of which will go on to contest the 2016 Vendée Globe non-stop solo round world race, and what are likely to be the fastest entries, the Ultime multihulls, measuring anything from 60ft." The 2016 Edition of the Transat is set to begin May 2, 2016, from Plymouth, England and finish off Manhattan, New York. News | The Transat: "The Transat, the first and oldest single-handed trans-ocean race in history, is heading to New York City and will culminate at the new ONE°15 Brooklyn Marina, race organisers and rights holders OC Sport, announced today. The marina will be an Official Host Venue Partner to the race alongside Plymouth, UK and is located in the heart of Brooklyn Bridge Park opposite Manhattan. It’s the newest marina to be built in New York City in decades and is currently under construction with a grand opening set for Spring 2016 to be marked by this iconic and exciting race." History | The Transat: "Year 1960: The Transat began life when a handful of British sailors made a bet to see if they could sail across the Atlantic to America single-handed and who could do it the fastest. Among them were Sir Francis Chichester and Blondie Hasler... 5 entrants total; Winning Skipper: Francis Chichester, Gypsy Moth; winning time: 40 days 12 hours 30 minutes." All ten Olympic sailing events will be contested in Abu Dhabi from 27 October to 1 November, with an open kiteboarding event joining the fray around Lulu Island off the UAE capital's stunning Corniche. With just 20 boats in each event the competition is set to be fierce. The ten Olympic events will contest an opening series and a Medal Race with the kiteboard fleet using a short track format. IMOCA Safran--Transat Jacques Vabre: Published on Oct 20, 2015 - The monohull IMOCA Safran, skippered by Morgan Lagravière and Nicolas Lunven, arrived at Le Havre, France, with few days until the start of the Transat Jacques Vabre. 42 competitors entered in this famous double-handed transat. Charlie Dalin, co-skipper of Queguiner - Leukemia Espoir (IMOCA): "To move around the boat on deck you are soaked. There was a lot of wind, between 30 and 40 knots. We are very happy with our position, everything is fine on board... "
Tanguy de Lamotte, skipper Initiatives Heart (IMOCA):"It is going well. Let’s say it's pretty invigorating sailing conditions. You are jumping waves when you are over 20kts..."
Getting into the groove...Guillermo Altadill speaks this morning | Transat Jacques Vabre 2015: "Gullermo Altadill, ESP, Hugo Boss IMOCA: “The night was OK. Last night we got gusts to 40kt but we managed to work with the sail changes to look after the boat, so we sailed to more west to get closer to the fleet. We are going upwind now and waiting for the next front for the shift to get on to starboard again and get reaching." Transat Jacques Vabre: Bourgnon and Lamiré: (video at link) Gilles Lamiré and Yvan Bourgnon, participating in the Transat Jacques Vabre on a trimaran Multi50 (15.24 m), announced that they were abandoning the race with their boat hit a floating container between two waters. Capsizes and Damage to 5 boats on Day 1 Transat Jacques Vabre in the Bay of Biscay. (Published on Oct 27, 2015): 40 knots of wind and 6-7 metre waves play havoc with the fleet in the 2015 Transat Jacques Vabre. Five of the "top contenders' had to retire from the race after either capsizing or experiencing damage in the wild conditions. They were Edmond de Rothschild, Safran, Maitre CoQ, Prince de Bretagne and Team Concise. Just before I moved to Napa Valley almost 20 years ago I took a wonderful sailingvacation in the Greek Dodecanese Islands off the coast of Turkey. Spirit of Yachting - Rolex Middle Sea Race 2014 - the 35th Rolex Middle Sea Race was one to remember. Not only for international fleet that, for the third year in a row, set a record number of entries, but for the array of conditions that the yachts faced. From no wind to too much; from flat calm to turbulent seas; from going nowhere to flying fast & furious: the 606-nm mythical racecourse offered everything. The worthy winner had to conquer the elements as well as the competition. Exceptional challenges bring out the best in exceptional characters. The Rolex Middle Sea Race was first run in 1968 and Rolex has been the title sponsor since 2002. Rolex Middle Sea Race 2015: Mascalzone Latino wins ORC overall - MaltaToday.com.mt: "Vincenzo Onorato's Italian Cookson 50, Mascalzone Latino, with Flavio Favini as tactician, corrected out to win the overall prize for the race rating under the ORC Rule." CHART: Is Hurricane Patricia The Strongest Hurricane Ever? The short answer is, it depends on the database. What we can say for sure is that Patricia is a monster of a storm. Video above: Motor vessel Tor Viking rescues a distressed sailor from his disabled 30-foot sailboat approximately 400 miles south of Cold Bay, Alaska, Oct. 20, 2015. The mariner alerted the U.S. Coast Guard with his emergency position indicating radio beacon. U.S. Coast Guard video. US Coast Guard Press Release: Coast Guard monitors rescue of mariner 400 miles south of Cold Bay, Alaska: "JUNEAU, Alaska — The Coast Guard monitored the rescue of a mariner in distress aboard a 30-foot sailboat approximately 400 miles south of Cold Bay, Alaska. The good Samaritan crew of Tor Viking, a vessel contracted under Shell, safely recovered the mariner and his cat. Coast Guard 17th District watchstanders received an alert from the mariner’s emergency position indicating radio beacon. Watchstanders launched an Air Station Kodiak C-130 Hercules airplane and directed Coast Guard Cutter Munro to get underway from Dutch Harbor to assist. Alaska Rescue Coordination Center also launched two MH-60 helicopters and a refueling aircraft for long-range missions to assist with the case. The C-130 arrived on scene and made contact with the distressed mariner who reported that he had no rudder or rigging and was taking on heavy seas. A nearby Shell vessel, Polar Pioneer, dispatched the vessel Tor Viking to assist the mariner after being contacted by the C-130 crew. “The assistance of the good Samaritans on this long-range distress call was vital for the success of the rescue,” said Bud Holden, a Coast Guard 17th District watchstander. “The crew of Tor Viking battled 20-foot seas and gale force winds to help a fellow mariner.” Weather on scene was reported as 20-foot seas and 46 mph winds." The 2015 Para World Sailing Championships is set to welcome 140 sailors from 29 nations in Melbourne, Australia from November 24 to December 3. What's great about the organizers of the America's Cup and their active pursuit of mainstream media is seeing how these 'outsiders' spin the story. The Island Packet Trophy was presented at a ceremony under the Liberty Oak in Harbour Town, the birthplace of the oldest sailing club on the Island. Published on Oct 18, 2015: It's Super Sunday! We're looking forward to a big day of racing in Bermuda with three races scheduled today, The forecast looks good and with the racing counting for double points, there will be everything to play for! Race Day Two - Artemis Racing takes the day - 35th America's Cup: "Artemis Racing takes the day - EPIC COMEBACK - 1430 BDA: What a race! ORACLE TEAM USA steals a win from Artemis Racing... Land Rover BAR, SoftBank Team Japan, Emirates Team New Zealand and Groupama Team France.... 1330 BDA: There is currently 10 knots on the race course, according to the Race Committee... Perfect for racing. We should be GO for three races today." We Are The America's Cup - The support of the local community is integral to the success of the America's Cup, and we are overwhelmed by the warm welcome we have received since arriving in Bermuda. Our goal is to have all Bermudians say with pride "We Are The America's Cup". Published on Oct 18, 2015. Louis Vuitton America's Cup World Series, Bermuda, Saturday. October 17, 2015: Day One, No Wind, No Racing--Racing was abandoned on Saturday, setting up a Super Sunday with more points on offer than ever before on a day of racing at the Louis Vuitton America's Cup World Series, with up to three races on the schedule. Louis Vuitton America's Cup World Series Bermuda Viewing Options - 35th America's Cup: Live streaming via the AC app--go to link for more information, including broadcast options globally--videos will be embedded on JohnTheCrowd.com once made available by the America's Cup organization. Yachtico opens U.S. headquarters in Boca Raton - South Florida Business Journal: "The online yacht charter and rental company launched in 2011 and commands more than 16,000 listings for sailboats, motor boats, catamarans and houseboats across 1,000 destinations. The company officially opened its global headquarters in South Florida in April, and has operations in Europe and China, as well." Le best-of des images des Voiles de Saint-Tropez 2015 Regatta! 28th September-1st October, at St Tropez, France. Les Voiles de Saint-Tropez - Day 6 : Genie Of the Lamp: Beautiful sailing conditions in Saint-Tropez. Discover Genie Of The Lamp, the first Wally Yacht sloop. Les Voiles de Saint-Tropez - Day 5: Rain came in over the race but the crew made it the the finish line. Saint-Tropez, or St.-Tropez, is a coastal town on the French Riviera, in the Provence-Alpes-Côte d'Azur region of southeastern France. Long popular with artists, the town attracted the international "jet set" in the 1960s, and remains known for its beaches and nightlife. Les Voiles de Saint-Tropez 2015 - Day 2 : Too windy: Too windy on Day 2 of Les Voiles de Saint-Tropez 2015 but 15m still having fun! Les Voiles de Saint-Tropez 2015 - Day 3 : C'est bon ! Les Voiles de St Tropez was first run twenty-six years ago as La Nioulargue. Every autumn, the regatta has some of the most extraordinary modern sailboats along with beautiful traditional yachts. Yacht racing and sailing enthusiasts come from all the corners of the globe to the bay of Saint-Tropez. The Rolex trophy is awarded to the winner of the Classic Division over 16 meters. Saint-Tropez, France, is located on the French Riviera near to Cannes and Marseille and is famous for its millionaires as well as being where Brigitte Bardot was discovered. Female: Sarah Ayton (GBR) Sam Davies (GBR) Elena Kalinina (RUS) Lotte Meldgaard Pedersen (DEN) Charline Picon (FRA) ..."
2011 Bacardi Columbus Day Regatta sailed by Daniel Evans and Brad Johnson from TeamParadise at Shake a Leg Miami. High winds lead to a dramatic downwind run and capsize. 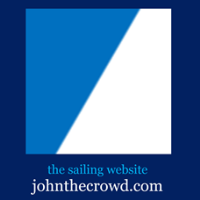 Columbus Day Regatta 2014 from Alberto Beeck on Vimeo. Columbus Day Regatta 2014, Miami! Columbus Day Regatta - Published on Oct 14, 2014: "Millie forced me to attend this annual debauchery gathering during the Miami Columbus Day Regatta --This is what we saw, pretty lame this year--every department that had a water craft was there cracking down on drinking and boat driving since the past deaths..."
The Louis Vuitton America's Cup World Series event in Bermuda will be held October 16th - 18th and the Race Village will be situated in the capital Hamilton. RACES: Two 25 minute races are scheduled per day to fit with 90 minutes for a TV show produced by America’s Cup TV (ACTV). It will be broadcast globally. The race course will be located in the Great Sound. The finish line will be positioned in the Great Sound for race one of each day and in Hamilton Harbor for the second race, providing viewing opportunities for both on water and on shore spectators. The 2015 Rolex Farr 40 World Championships marked the culmination of the season for the high-performance circuit of one-design yacht racing. The 18th edition, hosted by Long Beach Yacht Club (LBYC) in California, attracted 17 boats from six nations. With rules that guarantee identical yachts and the boat owner at the helm, the only difference between winning and losing is the skill of the crew. After an intense battle, victory went to Groovederci . Her owner, John Demourkas, was presented with a specially-engraved Rolex Yacht-Master watch. 2015 Argo Group Gold Cup News: "Morning Briefing // Oct. 9 The resumption of the Repechage Round is the focus this morning at the $100,000 Argo Group Gold Cup. Chris Steele’s 36 Below Racing from New Zealand and Keith Swinton’s Black Swan Racing from Australia both stand at 2-0 after two of seven scheduled flights. The round also includes two America’s Cup teams, Dean Barker’s SoftBank Team Japan and Francesco Bruni’s Artemis Racing, World Match Racing Tour regular Johnie Berntsson’s racing team (the event’s reigning champion from Sweden), Blythe Walker’s Team RenRe from Bermuda, and two other younger teams – Chris Poole’s Riptide Racing from the U.S. and Reuben Corbett’s racing team from New Zealand..."
Argo Group Gold Cup: "UPDATE: 1410 ADT - "Phil Robertson's WAKA Racing, Eric Monnin's Swiss Match Race Team and Ian Williams' GAC Pindar have advanced to the quarterfinal round after placing first, second and third, respectively, in Group A. Robertson's crew won all three of their matches today to finish atop the group with a 5-2 record. Monnin won two of three to finish tied with Robertson, but lost the tiebreaker because Robertson beat him in Flight 4 yesterday. Williams also finished with a 5-2 mark, but was relegated to third based on his half point penalty from yesterday for causing damage in a collision. Six of the crews are now set in the Quarterfinal Round, scheduled to begin tomorrow. The final two will come from the Repechage Round Robin, which will include the Johnie Berntsson's racing team, Dean Barker's SoftBank Team Japan, Chris Poole's Riptide Racing, Blythe Walker's Team RenRe, Chris Steele's 36 Below Racing, Keith Swinton's Black Swan Racing, Francesco Bruni's Artemis Racing, and Reuben Corbett's racing team. Danish youngsters Nicolai Sehested and Joachim Aschenbrenner have been eliminated from the competition..."
Argo Group Gold Cup news:: "Eric Monnin’s Swiss Match Race Team has streaked out to an early lead at the 67th annual Argo Group Gold Cup. With Group A having completed four flights, Monnin’s crew won three to top the early standings. Monnin, last year’s runner-up, could be a dark horse contender this week. Trimming main and helping with tactics is Frenchman Mathieu Richard, the 2007 champion. Richard has a fine touch for the IOD and could be a difference maker. Second is held by Ian Williams’ GAC Pindar crew, which has 2.5 points from three victories. Williams lost his first match to Blythe Walker’s RenRe team from Bermuda, in which he was penalized for running into Walker’s transom around the leeward gate. Williams then went on to win his next three matches...."
Host: Hamilton is the capital of Bermuda - a financial center, major port and tourist destination with a subtropical climate and year-round warm weather. The highlight of the Hamilton sailing calendar is the Argo Group Gold Cup, the penultimate stage of the Alpari World Match Racing Tour. 2015 Argo Group Gold Cup News: "America’s Cup sailors Dean Barker and Francesco Bruni join Royal Bermuda Yacht Club regular Blythe Walker in the lineup for the 67th annual Argo Group Gold Cup match racing regatta, scheduled Oct. 6-11. The Argo Group Gold Cup, an event of the World Match Racing Tour, enjoys preeminence among match racing regattas around the world. Year after year it attracts the top talent. The list of previous winners since 1985 includes 13 skippers who have featured in an America’s Cup campaign. And they’ve won the King Edward VII Gold Cup trophy 23 times during that span, led by Sir Russell Coutts’ record seven titles..."
U.S. Offshore Championship 2015 - Highlights from the U.S. Offshore Championship for the Lloyd Phoenix Trophy, hosted by the United States Naval Academy September 24-27, 2015. U.S. Team Racing Championship 2015 - The 2015 U.S. Team Racing Championship for the Hinman Trophy was hosted by the Annapolis Yacht Club on September 25-27, 2015. Extreme Sailing Series Highlights, Act 7, Istanbul, presented by Yandex. From October 1-4, Istanbul delivered some of the best sailing of the season against one of the most iconic backdrops in the world. Team Turx win exhibition race on the Bosphorus but McMillan leads going into the final day | News: "With McMillan at the top of the leaderboard going into the final day, the battle is on for the remaining podium places. Currently in second place, on 168 points, Oman Air continued their consistent form with another excellent day’s racing. Skipper Stevie Morrison will surely have an eye on his first podium this season if the team can hold their nerve in tomorrow’s double points scoring final." Drama in Istanbul as Red Bull Sailing Team break their mast on Friday | News: "Red Bull Sailing Team made a dramatic and unexpected exit at the Extreme Sailing Series™ Act in Istanbul today after their mast broke in the second race. With the wind fluctuating from 12-20 knots, the mast snapped in spectacular style across the top third of the rig damaging the sails, and with no one onboard hurt, the Austrian team limped back to shore to begin overnight repairs..."